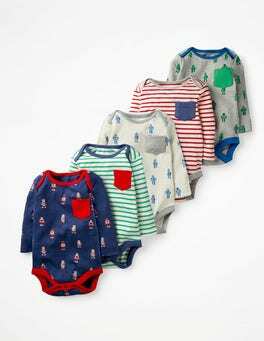 This three-pack of bodies features adorable prints and sweet stripes. 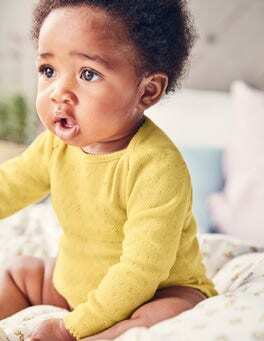 The organically grown cotton rib is hard-wearing but soft as down on your little duckling's skin, and there are poppers and an envelope neck for easy dressing. A pretty matching bag makes it an ideal present for new hatchlings. 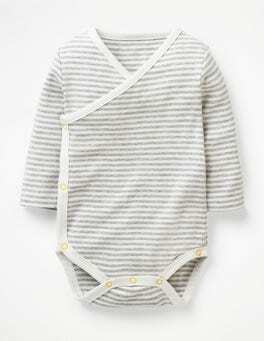 Your baby will be as pretty as a picture (as if they're not already) with this bodysuit. Made from supersoft pointelle fabric, it can be mixed and matched with other designs from our range for a quick-fix dressing solution. Simple. 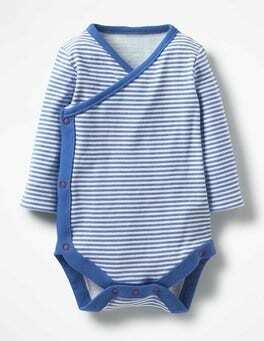 Brighten up each weekday with these colourful stripy or robot print bodies. These five soft 100% cotton designs aren't just for layering – they each feature a contrast colour pocket and can be worn as a T-shirt (handy, right?). A matching fabric bag means they're an ideal present. Bunnies are hopping all over this five-pack of supersoft bodies. 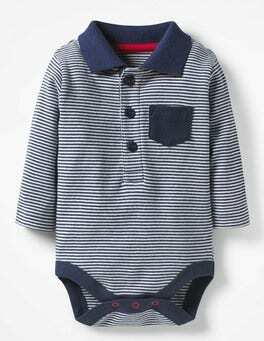 We've used 100% organically grown cotton (for the gentlest feel against newborn skin), with an envelope neckline and poppers to help with speedy changing. All packed up in a fabric bag, they're the perfect present. 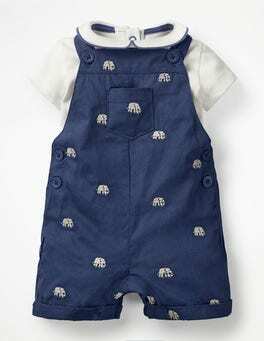 Our baby set is crafted from 100% organic cotton so it's soft on skin and kind to the planet. 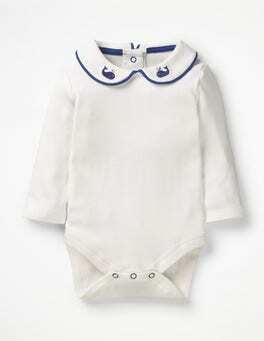 Containing a sleepsuit (with a gold popper for easy dressing), two long-sleeved bodies, a hat and trousers in a presentation box, this combination is perfect for getting new parents started.